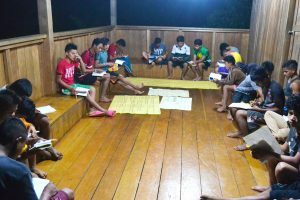 A recognition ceremony was held 12 September 2018 for students who exemplified Pulangiyen values identified through the guidance of the Bendum tribal leaders. This recognition ceremony is held once every quarter. The Pulangiyen of the Upper Pulangi River in the eastern valley of Bukidnon, Mindanao, Philippines, take pride in their values rooted from the way of life of their ancestors. Children grow up to stories of how their people practiced pakipit-kipita (providing support to others), pakibentel (checking up on others to see how they are), pakisayud (coordinating with others and sharing correct information) in the olden days. 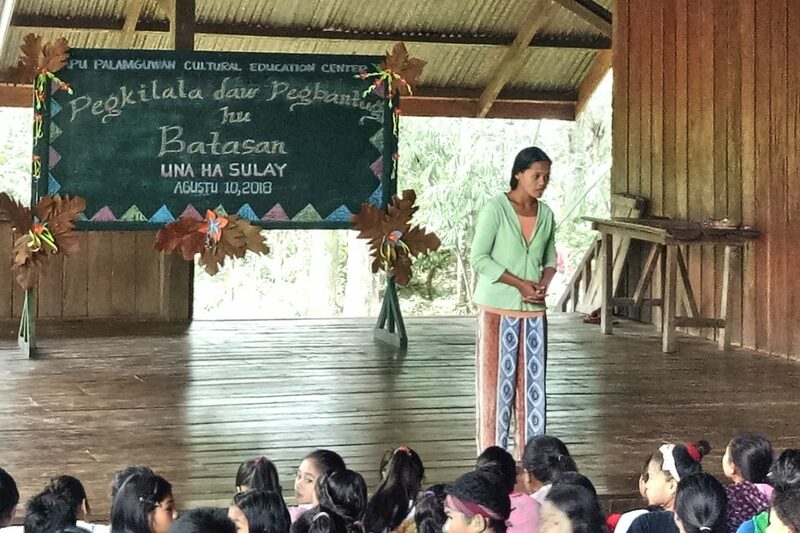 As part of their culture-based education, students of the Apu Palamguwan Cultural Education Center (APC) school regularly hearand listen, discuss, read, and write about these values, starting from the early grades. While Pulangiyen values are often referred to as “the old ways,” these are not just treasures kept alive only in memory and passed down to the next generations through stories. APC students also keep these “old ways” alive through practice and in how they relate with each other, with their family, with their community, and with their land and resources. 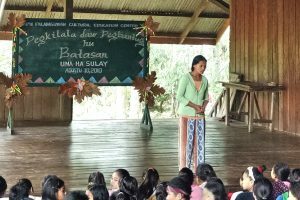 A recognition ceremony was held 12 September 2018 for students who exemplified Pulangiyen values identified through the guidance of the Bendum tribal leaders. These values are key in the formative curriculum and are integrated into various subjects. The recognition ceremony is held every quarter to establish the critical importance of cultural values in sustaining peace in the community through the youth. “Here at the APC school, the teachers recognized me for my leadership among my schoolmates and my respect for teachers and elders. These are important Pulangiyen values – the capacity for leadership and respect for parents and elders,” said Angelo Loquindo, Grade 7, one of the most-awarded students in the first quarter. “The Pulangiyen are peace-loving and respectful. We give great importance and respect to our biodiversity, how much more then for the people?” Grade 10 student Gino Suldahan, a dalepaan* leader, added. APC teachers also visit neighboring villages to speak about these values with the students’ parents and to partner with them in teaching these values to their children. This led to the discovery that Pulangiyen values are also treasured among other various tribes, albeit termed differently. Tribal leaders and parents appreciate APC’s effort to strengthen the values they hold dear and held a ritual to guide APC teachers and staff in ensuring these Pulangiyen values stay alive in the youth.